I had bought this for myself before and loved it. So I decided to send a set as a gift. 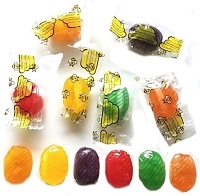 These are the perfect size for someone to sample all the flavors of honey. I added in a honey dipper(this can be purchased separately from ebeehoney and added to your order) for them to use to get the honey out. It was a big hit. The honey is always delicious. I have ordered from ebeehoney many times. This is a great way to sample all of the varieties before ordering a larger quantity. Each honey is unique but they are all fantastic. Some of the best I've ever had! Great way to sample everything. I especially liked the dark honey and bamboo. Super cute little jars. We ordered the sample pack to try out all the honey types before ordering the larger bottles. I'm certainly glad that we gave it a go; some of the flavors were surprisingly lovely. Who knew bamboo honey was a thing? The jars are cute enough that I'll probably find a way to work some into Christmas presents next year. 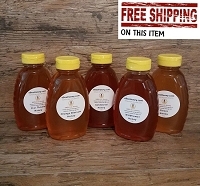 Received 8-pack of Raw Honey Varieties. Order received in a timely manner and in very nice packaging. Great Honey. However, in five of the eight containers, the honey had crystalized. That will not effect the honey's quality, but I would rather have had it received in liquid form. Thx. eBeeHoney Response: Raw honey crystallizes at different rates - raw goldenrod will crystallize within hours of taking if off the hive. The only way for us to make it liquid is to heat it and this pack is raw honey, so yes some of the varieties will be crystallized. 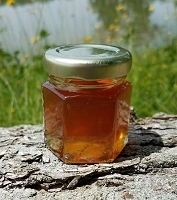 If you wish it to become liquid simply heat the honey jars in a warm water bath for some time. Please note though that once you start to heat honey, you may start to remove some of the benefits of the honey. This is a fun way to experience different flavors of tea and learn which ones you like. I love the little jars it comes in. A very nice pack, as a gift or just for yourself. I bought three packs for Christmass gifts they came in two boxes, now I am trying to find 3 smaller boxes to repack. Some of the best honey I've had. I am so happy with the 8 variety pack! 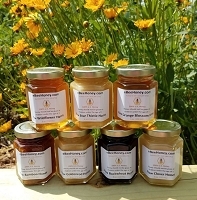 Each individual honey has an amazing and unique quality and texture. I could not be happier with the honeys. 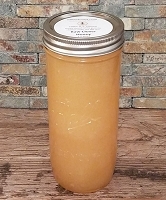 I am really excited because I decided to finally branch out from Jungle Jims and try honey produced in apiaries locally. These honeys are an amazing experience with each spoon full and I am so satisfied with how they arrived super protected and well packaged. I wish I had ordered more items! Message: Dear eBeeHoney: I write a review that is honest and deserving whether it is good or bad. So here is your review. I ordered your product the wrong time of year. Our temps were -25 below actual temp. I was worried about your product shipping. Well it arrived tonight and she made it safe and sound. Product was packaged beautifully. So here's the honey review. Ordered a honey comb and the wife, kids and I had a blast. Wonderful taste. Then we opened the sampler. I must say that the creamed wildflower honey is the best honey I have ever eaten. That is a fact. Here's my complaint. I should have ordered a jug of it. Then we sampled the others from light to dark. Oh my what a wonderful product your little bees made. Bar none the best product tasted to date. Buyers of honey: BUY AMERICAN!!! These folks make a living and it is our responsibility to support them. You guys keep up the good work and tell them bees how happy our family is with their honey. Proud to be an American an! d proud to support your company. So glad that I ordered the variety pack, so many choices to make. I had to try all the honey as soon as I received it. They were all very yummy. My favorite of the pack was the raw star thistle. 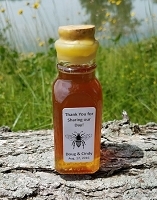 Can not wait to try the raw locust honey when it becomes available. Will definitely order again. I have only tried the Buckwheat and the Wildflower but I love them both. Will definitely order again. I ordered this because I didn't know how to decide, being a first time orderer. This variety pack is amazing. I love being able to try each flavor so that I can make an informed choice of what to buy more of in the future. Every single one of these is delicious, but I'm especially partial to the wildflower for regular use, the orange blossom for when I want that extra special something, and the buckwheat for oatmeal in the morning and it's extra heath value. I will be buying each of those kinds when my samples run out, and I wouldn't count out the other varieties either. Fantastic. 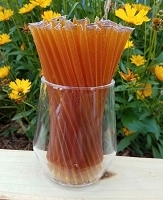 I will be on the lookout for locust honey when it returns next season. Love this variety pack. Now I know which honey will be ordering in larger quantity. All were good. Shipping was very fast, received day after ordering. Will definitely order from again. Excellent service. Honey was delivered very fast. Sampler is a great idea allows you to taste different varieties. The variety pack is a really good idea to find out which flavors you like best. All 8 were actually very tasty and of excellent quality - the raw tupelo is our winner. We will order again for sure. I knew I wanted the benefits of raw honey, but I was unsure exactly what flavor I wanted before I went and bought 5lbs. The sampler is great. There is enough in the jars to make a couple of recipes, and plenty for teas/drinks. Very good honey, good prices. I just ordered more honey. I have my own honey bees but was unable to take honey this year. If variety is the spice of life, then these babies are the Bomb! A delicious addition to coffee, tea or any time somethig sweet and healthy is needed. I haven't found one yet that I don't like. I bought this set because I want to try different kinds of honey so that next time when I order I can order my favorite kind. I have tried two kinds so far. They are pretty good. Wait to try the rest. I love this variety pack. I can enjoy so many different honeys. The jars are small so I don't get stuck with a large amount of any one honey ( I know....there isn't a "shelf life" on honey, but why clutter my pantry?). So far I haven't tried one I have not enjoyed. Good job eBeeHoney! 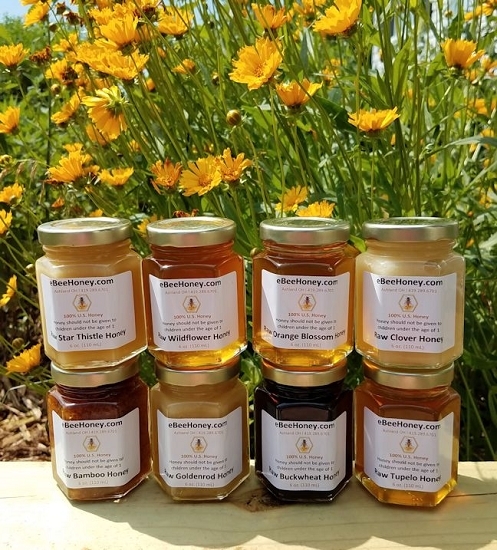 Great variety of honey. Fast shipping and good price. Some of the best honey I have ever tasted. Will order again. I am a big fan of raw honey. I really LOVE this 6oz Variety Pack because I have a chance to taste so many kinds of flavor. Besides, honey is very healthy. I highly recommend this product to other customers.I will buy another pack after I finish this. Bought this because I wanted to try out several types of raw honey. I was not disappointed! Great tasting honey, so far my favorite is the tupelo, but I think I'm going to have 8 favorites by the time I'm done! I absolutely love this honey! I use it in my tea, on breads, open wounds, etc. Still hard to believe this was made naturally from bees. I am a fan. I love the opportunity to try the different kind of honeys. I also love the opportunity to get raw honey in jars that are not 5lbs!! I don't order from places that send old honey that is hard. Raw honey can not be placed in the microwave (to get it in workable consistency) & keep it's health benefits. 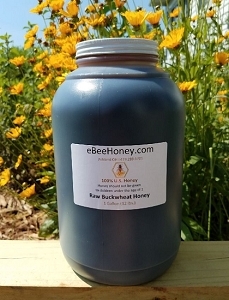 If I'm buying raw honey, I want to get the health benefits. Thank you!! This is a great way to try all the varieties and pick your favorite before you jump into ordering large quantities. But, picking your favorite is the hard part. I have finally narrowed it down to three. Awesome selection! They all taste so good and different picking a favorite is very difficult. I'll be back. Nothing but pleased with Ebee's product. The only issue I have is deciding on which varieties I'll purchase from you in the future. All were tasty but I especially liked your Tupelo, Bamboo, and Buckwheat. Can't go wrong with the sampler. Thanks Ebee! I've gone through 5 jars so far and love them all. My husband just asked me which was my favorite and I said "all of them". First Order...Definately will not be the last! I did not know what all the different flavors are. The sample pack was the perfect way for me to try several different flavors and decide what to order in a larger container. Now that I have tried them all....I am confused...I like them all! Fast Shipping. Very well packed. Excellent service. Order was processed immediately and received quickly. Enjoyed the variety. There are very distinct differences in the varieties. That was very helpful as a first time buyer.